No one will be able to explain for irresponsible man – how will feel his chaste wife when he will spend hours and hours (in service) with other women. Because He do not know what does it mean – responsibility. Because he has no chaste wife. Why bother? 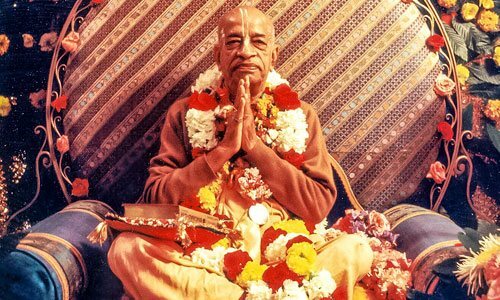 He do not know even what is driving him – he thinks that he is preacher, and for his “preaching” he needs constant access to other women – Prabhupada allowed! No one will be able to explain for independent woman, how will feel her sons, when they will see how other men flirt with her in the abscence of their father. Because She do not know what does it mean – husband, chastity. And she doesn’t have sons. But they do not know what is preaching. They do not know what is dharma and adharma, what is wrong and what is right. They even do not understand what Prabhupada allowed. They do not know. Very important verse. Ideal class of men therefore needed in the society. Therefore Vedic society is divided — ideal men: the brahmanas. Brahmana, ksatriya, vaisya, sudra. The brahmana, the saintly person, the sannyasi, the rajarsi. This is required. Imam rajarsayo viduh [Bg. 4.2]. In the Bhagavad-gita it is said that the Bhagavad-gita was taught to the rajarsi, not to the third-class men. Rajarsi, raja and rsi at the same time. Although king, but they were saintly king, just like Maharaja Yudhisthira, the ideal king. Bhagavan, Ramacandra, the ideal king, ideal king, so ideal that because some citizen criticized that “Lord Ramacandara, King Ramacandra, has accepted His wife who was kidnapped by Ravana,” and he was a low-class man, washerman, and still, the king, Lord Ramacandra, thought that “My citizens are criticizing Me.” Immediately He separated Laksmi-devi, Sita. This is ideal king, no criticism from the citizen, even Lord Ramacandra. This is called rajarsi. Therefore you will find in these days — no wife, no children, no family. In Western countries they take dog as the best friend, and television. That’s all. Because this is Kali-yuga, no family. But he must have some companion, but he doesn’t want family, the botheration of family. Then dog is the best friend. What can be done? This is going on, and it will increase more and more, more and more. So – “behave ideally” – means in the perimeter of your particular duty in varnasrama i.e., stri dharma.